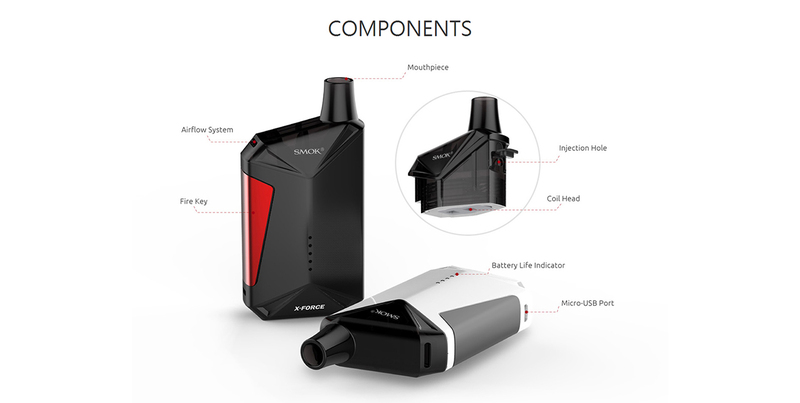 X-Force,a newly developed one-button activation device by SMOK, definitely will become your faithful vaping guard, which has a similar appearance to the box mod, yet compared with box mods, it’s a relatively lightweight one. The elaborately carved lines and cutting design on the mod exude a powerful masculine force. 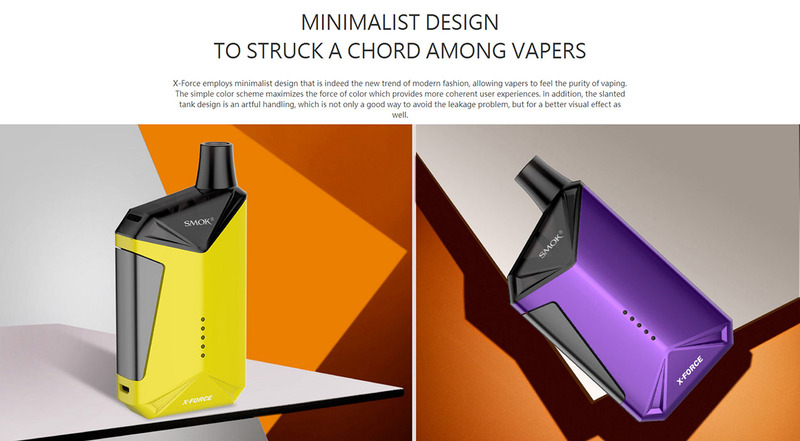 5 LED indicators arranged lengthwise clearly show you the combat power, plus built-in 2000mAh battery, ensuring the massive cloud and dense flavor. 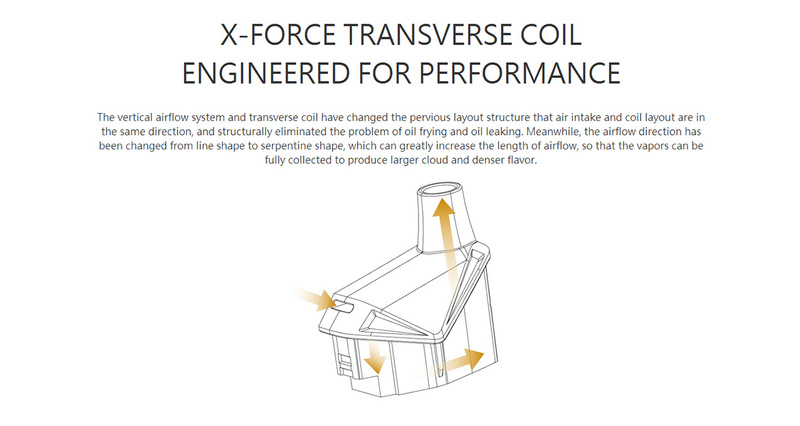 X-Force tank is refillable with a large e-liquid capacity up to 7ml, and what’s more remarkable is the unique X-Force Coil — the transverse coil, which is different from the previous layout structure, providing diversified vaping experiences to all the vapers.Innovation keeps changing the vaping experience!